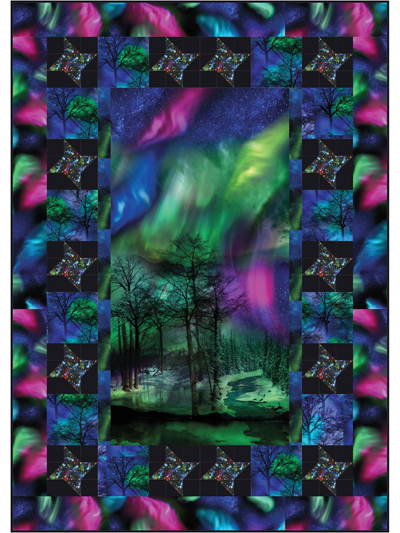 Bring the beauty of the northern lights into your home. 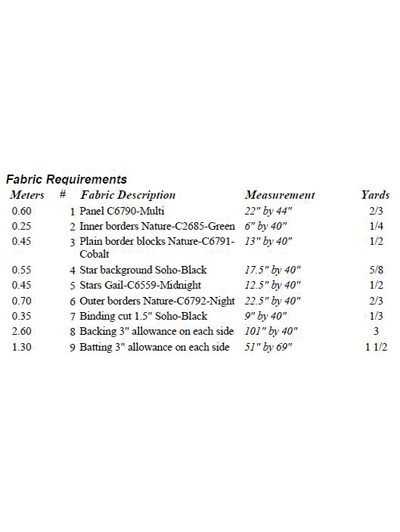 Make quick work of assembling this pattern by quilting with a panel. The diamond star blocks and traditional piecing are great for a beginner! Finished size: 44" x 62".